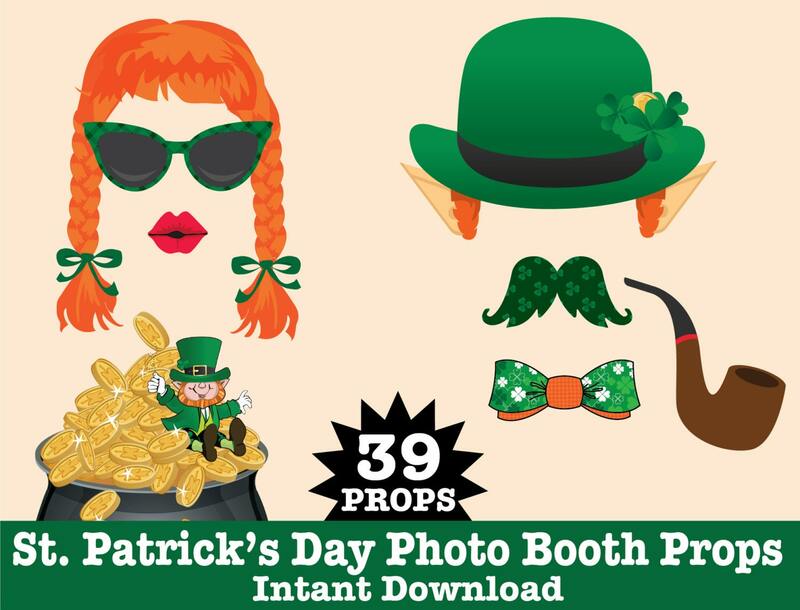 (¸.·´This St. Patrick's Day Photo Booth Prop DIY Printable kit includes 39 props: Green Top Hat ★ Green Derby Hat ★ Red Hair Braids ★ Red Hair Curls ★ Leprechaun Hat/Ears ★ Leprechan ★ Mustache/Glasses Face ★ Pot of Gold ★ Hat with Rainbow & Gold Coins ★ Green Beer (2) ★ Irish Coffee ★ Gold Horse Shoe ★ Flag of Ireland ★ Bow Ties (2) ★ Beard (2) ★ Mustaches ((6) ★ Lips (4) ★ Eye Glasses ★ Eye Glasses with Green Eyes ★ Sunglasses (2) ★ Kiss Me I’m Irish Button ★ Shamrock ★ Pipes (2) ★ Violin ★ Editable Arrows (2) ★ Instructions, plus information pdf for materials needed & paper suggestions. 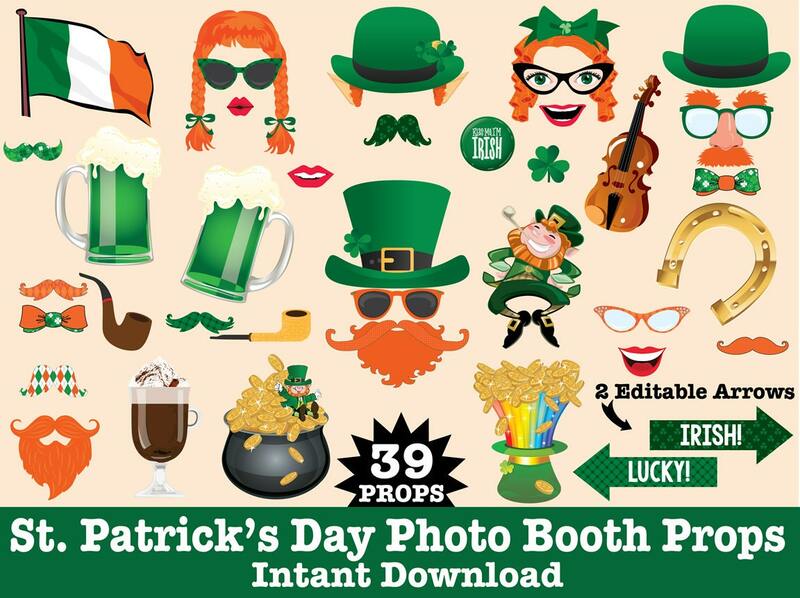 You'll have the Luck of the Irish withe this fun festive St. Patty's Day collection!! They're great for party decor... table centerpieces... party favors... or even a hostess gift! 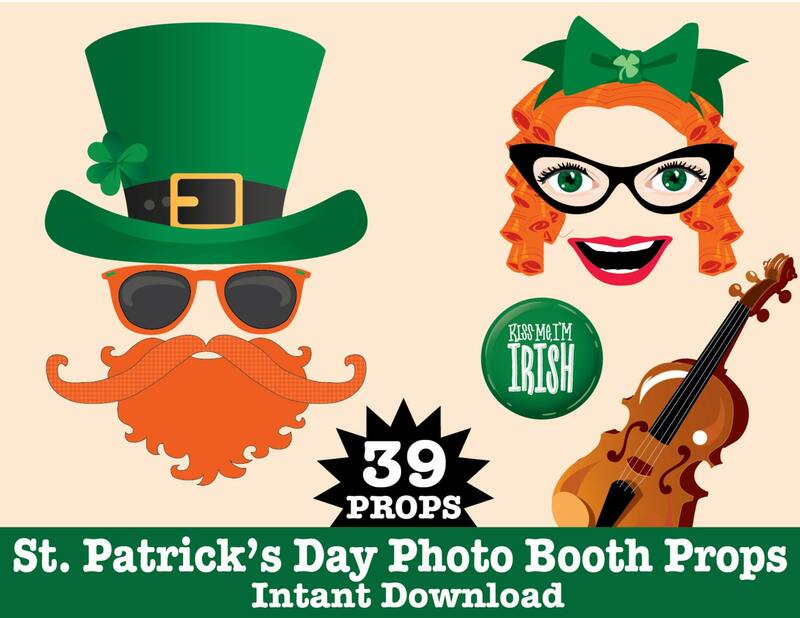 There will be tons of smiles... laughter galore... with memories to share for years to come with this St. Patrick's Day Kit.